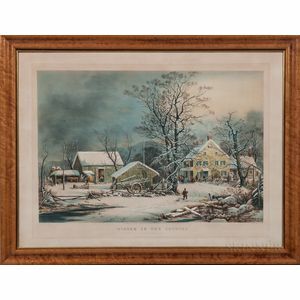 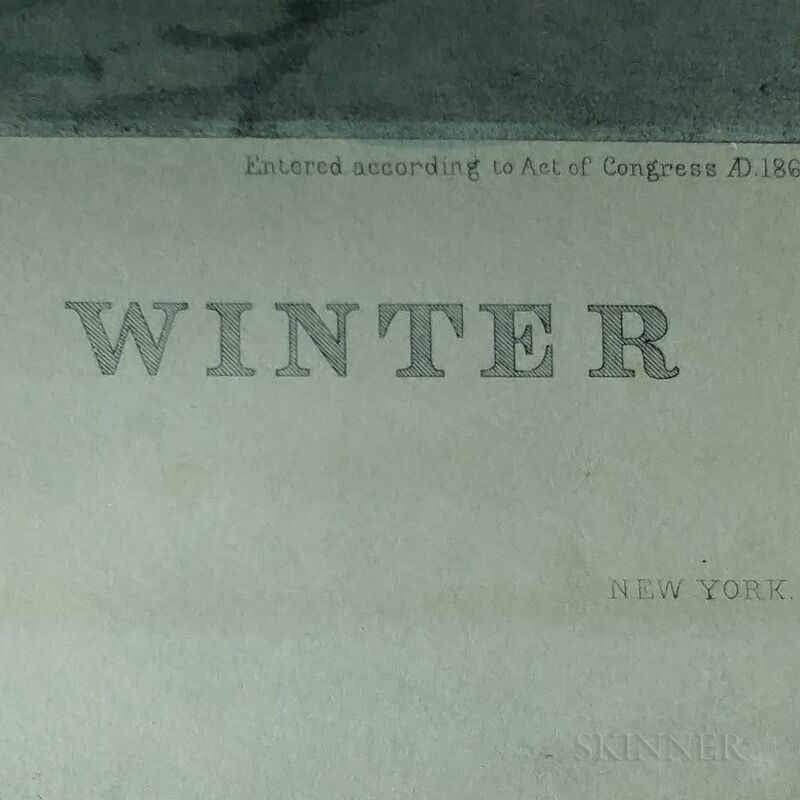 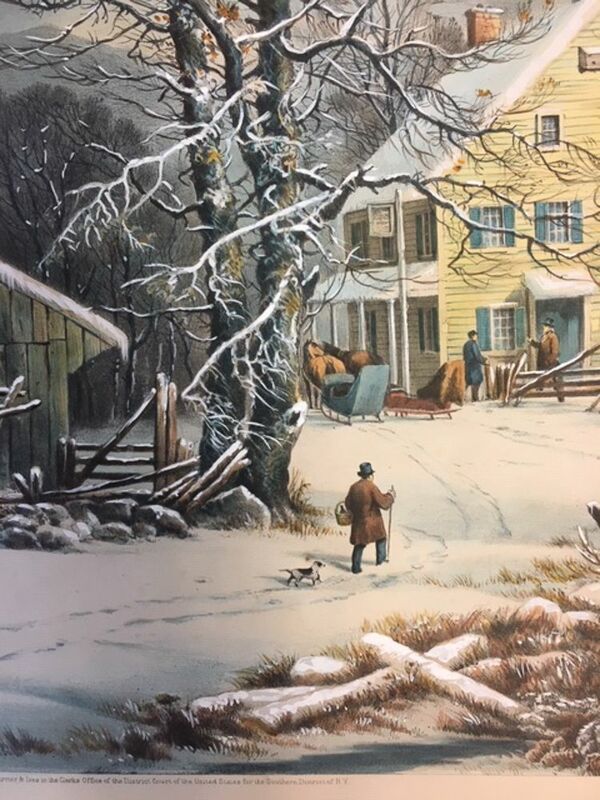 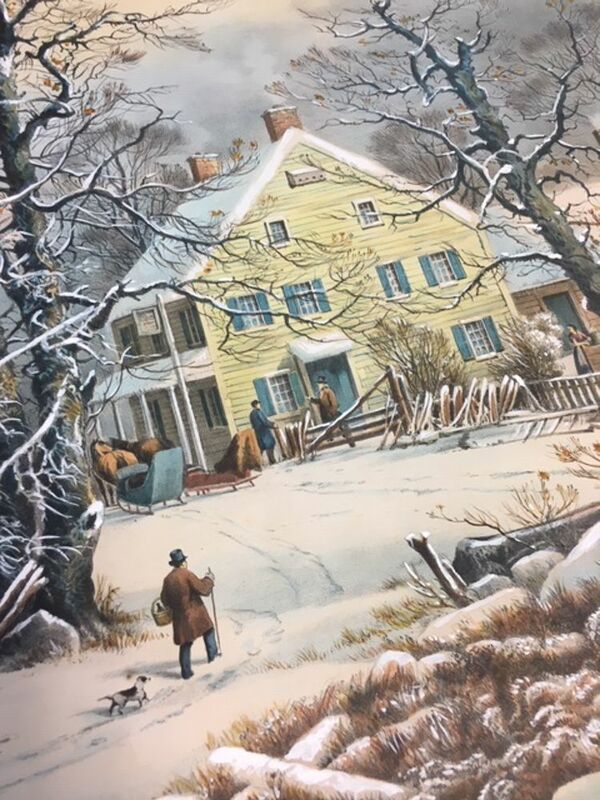 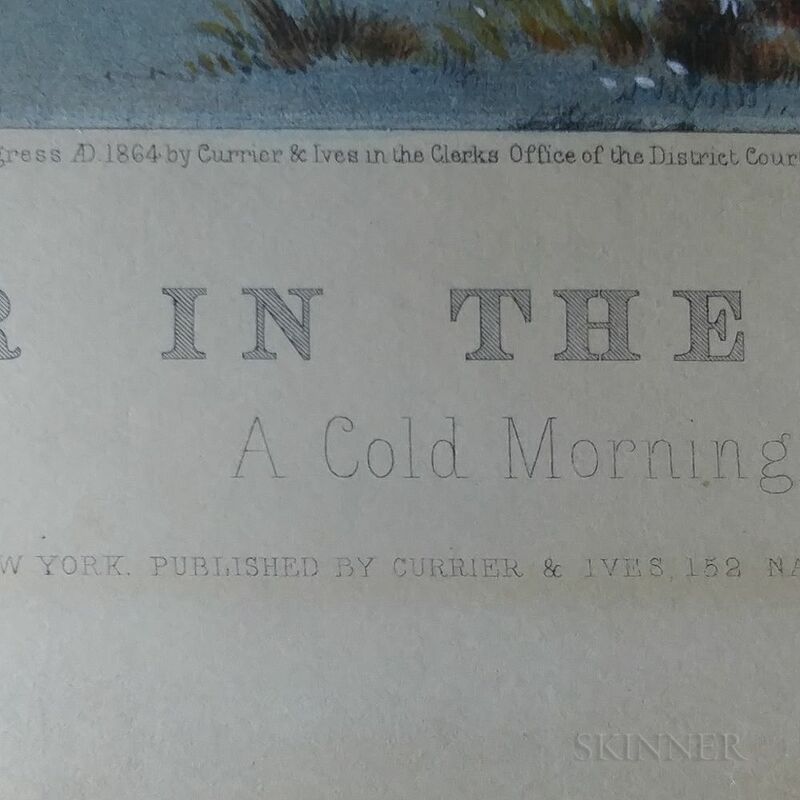 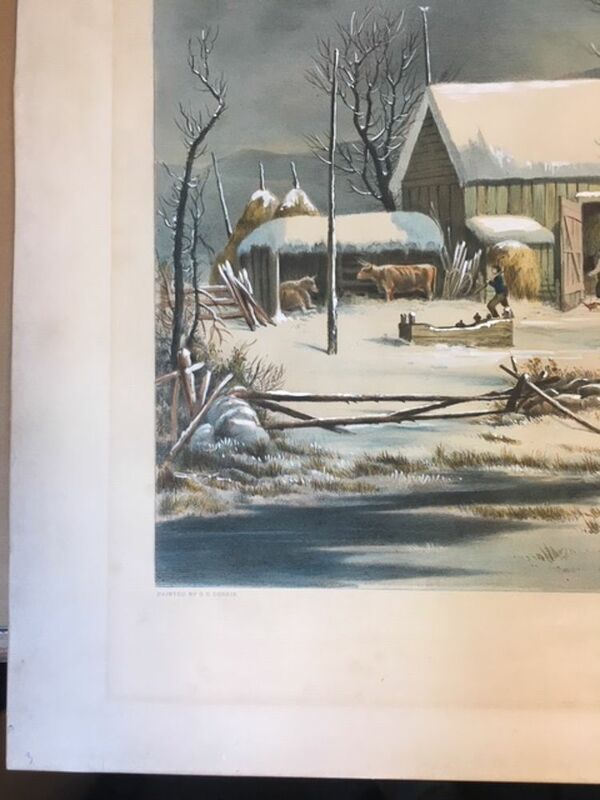 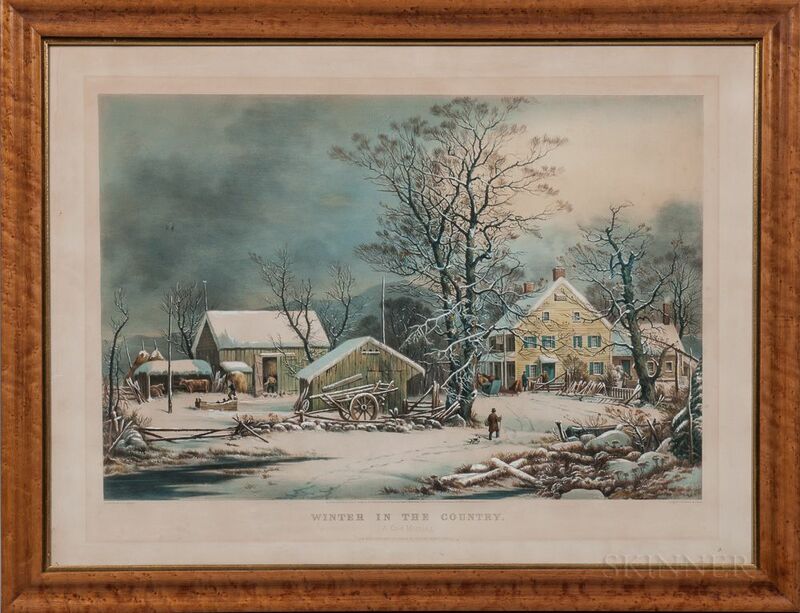 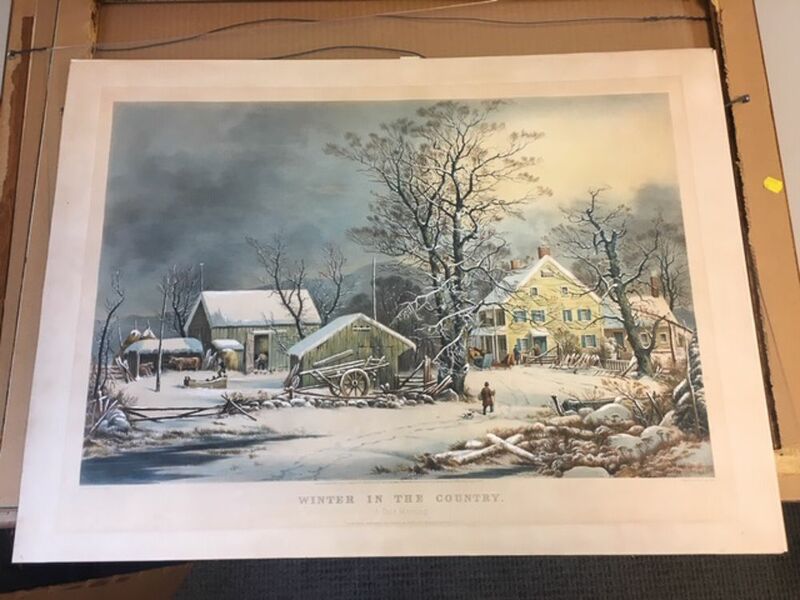 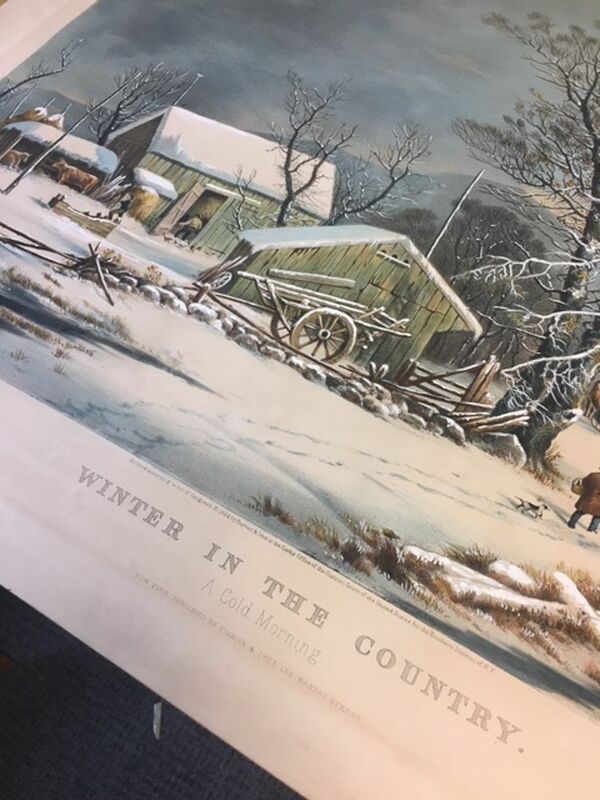 Currier & Ives Lithograph Winter in the Country: A Cold Morning, After George H. Durrie, published in New York, 1864, large folio two-color lithograph with hand-coloring, no. 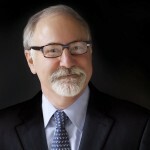 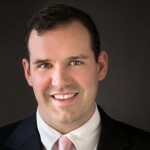 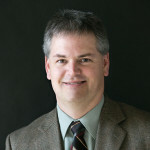 32 in the New Best Fifty, image ht. 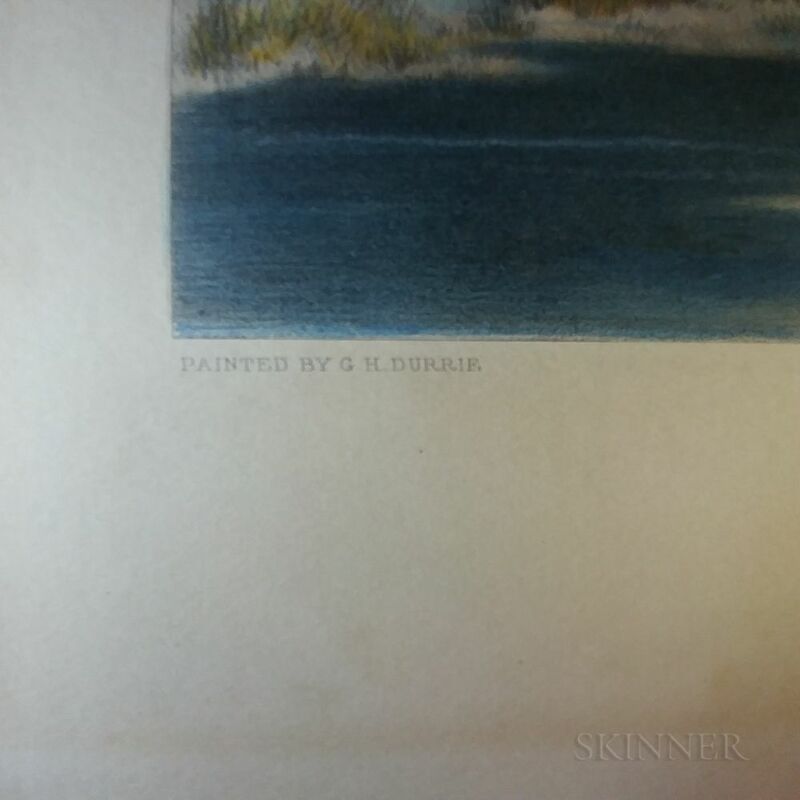 18 1/8, wd. 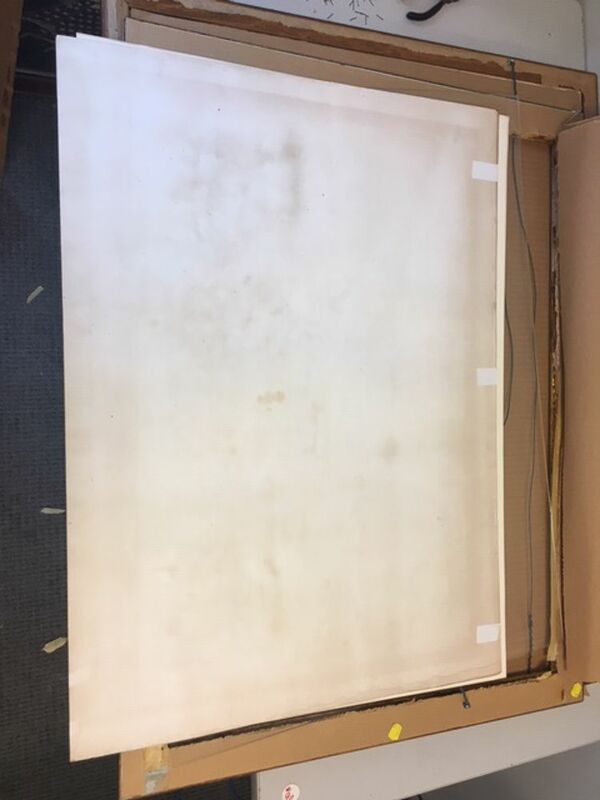 26 7/8 in. 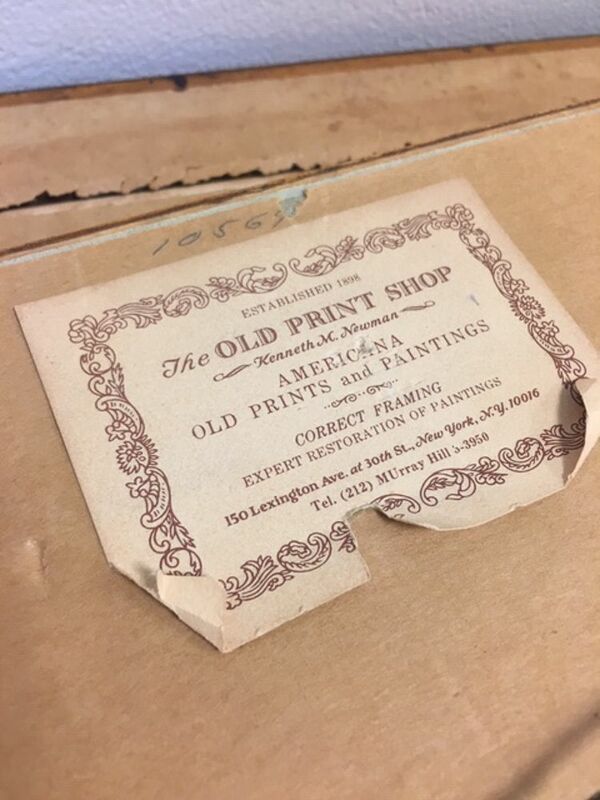 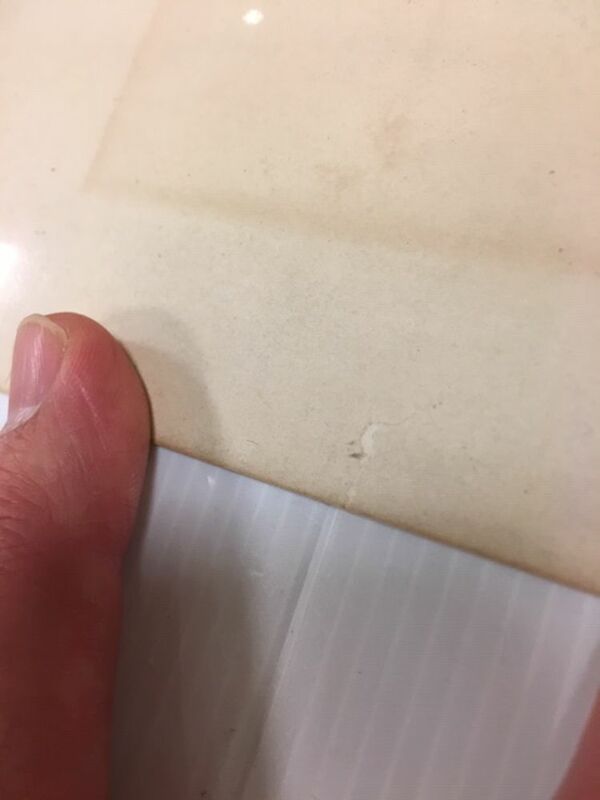 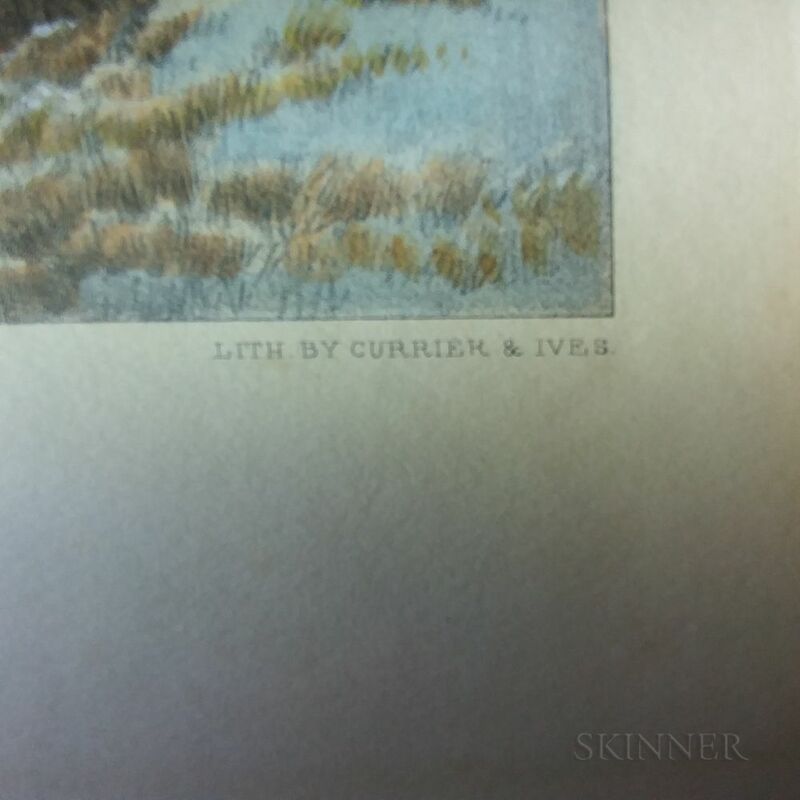 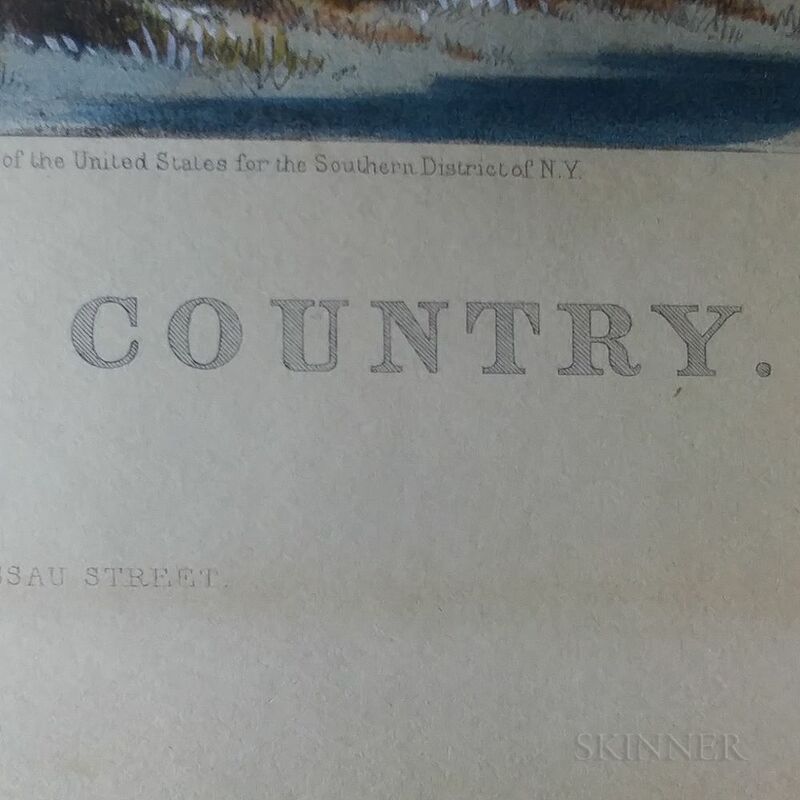 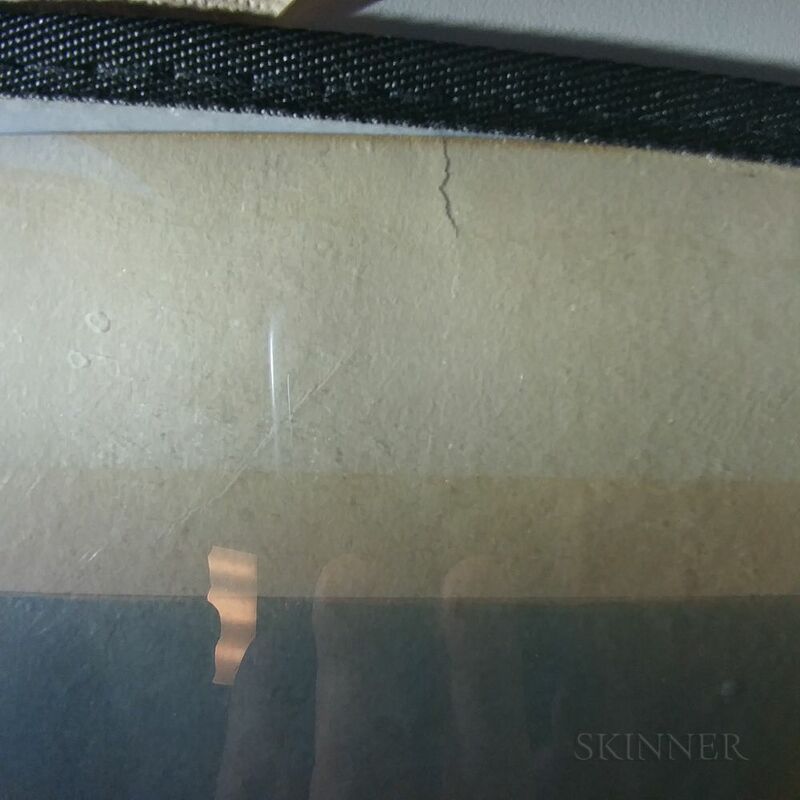 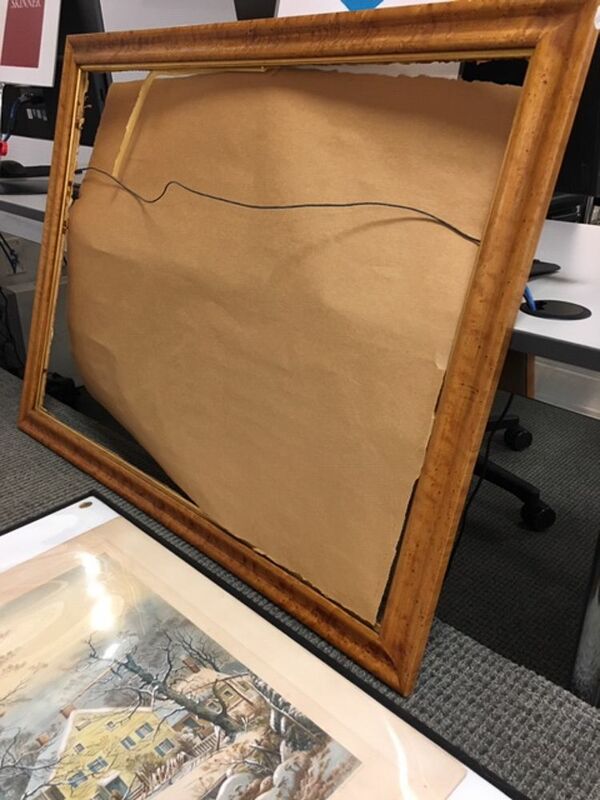 margins of 2 1/4 in or more (lower margin 3 in); mat burn; minor staining and toning; old tape hinge in three places at top edge, now detached; very minor repaired tear 1/2 into lower margin (nowhere near image).